As co-owner of Gold Key Realty & Auctions, Ida Walter's designation is that of Broker Associate, receptionist, marketing guru, advertising, sign placer and an experienced open house hostess. Ida loves working with people and strives to make her client's real estate experience not too stressful and fun! 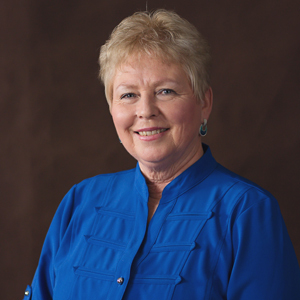 Having first received her SD real estate license in 1986 while living in Hot Springs, SD she went on to acquire a Missouri real estate license when she and Jim lived in Branson, MO. from 1990 to 1993. And now she applies her SD real estate license in the family business assisting with all clients looking to buy or sell a home or property, but there is something about helping that first time, young couple, home buyer. She said it is the motherly instinct within her to make sure nothing goes wrong for her kids! Ida's passion, without a doubt, is for her family! She has two super talented children, Tanya and Casey and three fantastic grandchildren who call her "Nan" and nothing could make her happier. She loves helping animals in need, people in need and doing what she feels the Lord would want her to do and that means stopping to put money in the can of any homeless person she runs across! No one needs to feel left out when she's around! Ida is proud of the accomplishments of their independently owned and operated family real estate firm, Gold Key Realty & Auctions, because as she points out...honesty and integrity should never go out of style, this is what a client must look for an excellent real estate representation, whether they are buying a 1st home of moderate price or a lavish mountain retreat, every client should expect top-notch service! And that is the norm at Gold Key Realty. Ida is thrilled to be one of the local Rapid City real estate agents and she invites you to give her call today!